The assaults against Islam and Prophet Muhammad in the media were probably not a new phenomenon, but the twelve cartoons depicting and denigrating Prophet Muhammad can be accepted as the turning point in the confrontation between the Muslims and the advocates of Islamophobia, between an unlimited freedom of expression and a responsible freedom of expression. Journals and magazines are among the most obvious forms of the media. In the world of media, no other organ is richer in subjects or cheaper in costs than the magazine. It is for this reason that we can see hundreds of magazines on the shelves..
We cannot imagine the world today or public opinion without the media. The power and influence of the media is beyond our imagination. Every group, every representative of any thought or interest, seeks to express or make public their ideas.. The Internet has transformed the nature of mass education in the modern world by expanding access to all segments of society. 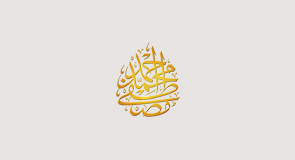 The transmission of knowledge has probably never been wider, as the intellectualized..
With dazzling speed, electronic and digital Islamic products have started to stretch beyond the boundaries of the imagination; they are now mobilizing the markets as well as helping people carry out their religious duties. Together with the increasing use of the Internet by Muslim community, the online fatwas, or religious decrees have also become popular. In fact, they have become the new, easily accessible alternative for the Muslim community in the place of mosques and other such conventional religious centers. The integration of the Islamic way of thinking and living with modern communication and the Internet has created a new aspect to the socialization process for Muslims and a new form of communication for people from different religions and cultures. The internet has become an indispensable and necessary part of our lives. Whereas communication without the internet has become nearly impossible, encyclopedias are now almost nostalgic items in the library..